Rebecca Dee “Becky” Carlton, age 72, passed away at the Center for Hospice in Elkhart surrounded by her family on Saturday, March 16, 2019. Becky was born February 28, 1947 in Kendallville, Indiana to Frank and Betty June (Weaver) Bach. Becky was a graduate of Mishawaka High School, class of 1965. On August 24, 1968 she married Richard Carlton Jr. in South Bend. Becky and Rich recently celebrated their 50th wedding anniversary. Surviving is her husband Richard Carlton Jr. of Mishawaka and her sons Rich (Susan) Carlton of Edwardsburg, Michigan and Adam (Carley) Carlton of Elkhart. Surviving as well is her mother, Betty June Bach of South Bend, and her grandchildren Olivia, Claire, Luke, Makenzie, Marshall and Holley Carlton. Becky is also survived by her brother, Jerry (Vicki) Bach of Myrtle Beach, South Carolina, four nieces and a nephew. She was preceded in death by her father Frank Bach and her sister Linda Arnett. Visitation will be held from 3-6 pm Wednesday, March 20, 2019 at Cruz Family Funeral Home in Osceola with a celebration of Becky’s life to follow at 6:00 pm. Cremation will take place and interment will be private at a later time. Becky was employed for over twenty-five years as an administrative secretary with the University of Notre Dame Legal Aid Clinic. In her spare time, she enjoyed bowling, playing cards with her sister and sister-in-law, and was an avid reader. Most of all, Becky loved spending time with her husband, sons and grandchildren. She would often be found in the kitchen cooking large meals for her family and her favorite time of the year was hosting the Carlton’s annual Fourth of July party at her home. 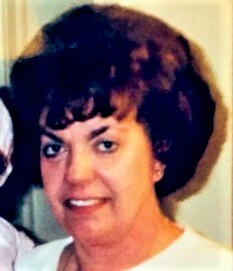 In her memory, donations may be made to the Center for Hospice, 501 Comfort Place, Mishawaka, Indiana 46545. To view Becky’s online video tribute, light a virtual candle in her memory, or leave condolences for her family, please follow the links provided on the Tribute Wall tab above.